'You are the One, Neo. You see, you may have spent the last few years looking for me, but I have spent my entire life looking for you.' - Morpheus 'The Matrix' Meet Neo, an energetic, athletic, fun-loving guy who is right out of your wildest imagination. 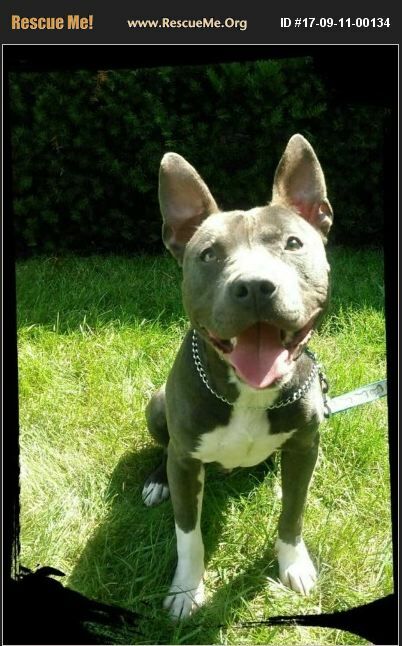 Neo is a handsome 2-year old blue pittie, who loves the run and play ball. Neo doesn't know a stranger and loves to get attention. Neo is a short little guy who won't get much bigger than the 45 lbs he is now. He does well on a leash, but will pull when he finds something he wants to investigate. Neo is very smart and eager to please and he's learning basic commands. Did we mention that Neo is great with kids!? Neo would make a great addition to any family. Is he the One for you? Neo would like to say to his forever family: 'I know you're out there. I can feel you now.' - Neo, 'The Matrix' Apply to adopt this handsome man at adoptapitrescue.org under the application tab. His adoption fee is $175. He's neutered, vaccinated, microchipped and on heartworm prevention.